Bob Stockton was born in Trenton, New Jersey in 1940. Leaving school in his junior year, he began a Navy career in 1957. Following Navy retirement in 1977 Bob has earned undergraduate and graduate degrees, worked as a shipyard welder’s helper, adjunct graduate instructor, epidemiologist, pharmaceutical trainer and radio host. 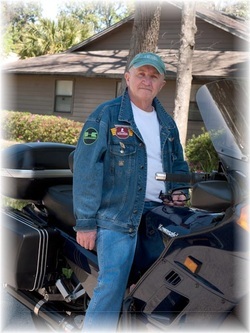 An avid motorcyclist, Bob resides in Jacksonville, Florida in close proximity to his three children, three grandchildren and a large American Bulldog named Bowser. 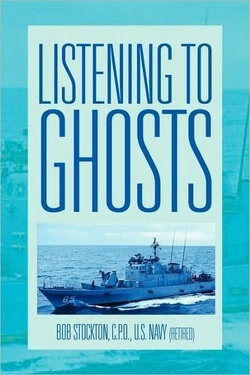 Listening To Ghosts, Bob Stockton’s memoir about growing up in a working class neighborhood in Trenton, New Jersey, and how he escaped to the U.S. Navy, details the lively ups and downs of a career navy man as he comes of age and learns invaluable life lessons both personally and professionally. One of the few navy men who has served in the submarine navy (in diesel electric submarines), Bob also served in the surface (destroyer) navy, in Vietnam in a patrol gunboat and in the aviation navy on carriers and in reconnaissance attack squadrons. The book is divided into two sections, “Trenton” and “Haze Gray and Salt Spray.” Each section boasts short, highly readable, highly entertaining chapters that vividly span the early 1940s through 1977, when Bob gladly retires from the Navy. Many have written novels about the lives and adventures of their ancestors but most are not retold directly by the ancestor himself. 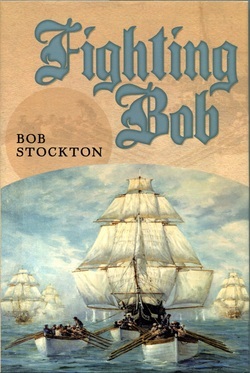 In the new novel FIGHTING BOB author Bob Stockton writes of the exciting life of his great-great-great grandfather, Commodore ‘Fighting Bob’ Stockton. Once described by western frontiersman Kit Carson as “the bravest of the brave,” the Commodore’s achievements in the first half of the nineteenth century have, in his own opinion, been misinterpreted by history and his true story needs to be retold by someone with a sense of a life at sea. Under a bizarre set of circumstances the Commodore visits his descendant author and tasks him with writing the corrected history of Fighting Bob’s many accomplishments. Those words, spoken by the Commodore to his convalescing descendant began an accounting of epic battles, duels, hand to hand fighting and military conquest covering the first half of the nineteenth century which helped to redraw the map of the United States. As the Commodore’s tale unfolds the author, who was at first reluctant to embrace the task, becomes increasingly excited with the prospect of retelling the Commodore’s story in his - the Commodore’s - own words.